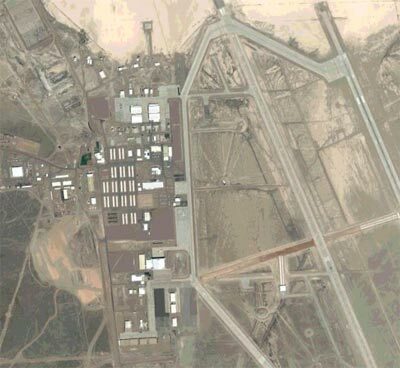 Area 51 is a military base in the USA. But what’s going on there? Area 51 is about 120 kilometres from Las Vegas, Nevada. Evidence suggests it’s a military base, but there are no documents that explain exactly what it’s for. In fact, any declassified paperwork on the area has any mention of “Area 51” removed. And the US government didn’t even acknowledge its existence until July 2003. Many are fascinated about tha place. And there are hundreds of blogs and websites where people share their ideas on possible activities at the base. Here are a few of their theories. ... astorage depot for crashed alien spacecraft (including material recovered from Roswell). ... a research facility for the examination of extraterrestrials (both living and dead). ... a place where experiments on time travel and teleportation are carried out. ... a huge underground facility where strange experiments on ways of controlling the weather and means of making contact with aliens take place. 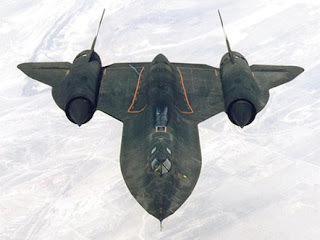 ... a research centre for secret work on flying saurces. The problem is that it’s impossible to get into area 51. UFO fanatics, conspiracy teorists and even journalists have tried to film inside the base, but sophisticated security systems and patrolling government agents make sure you can’t get anywhere near it. Warning signs around Area 51 state that photography is prohibited ang that the “use of deadly force is authorised”. Over the years, Area 51 has become an important part of popular culture. Many science-fiction films feature the base. In the film Indiana Jones and the Kingdom of Crystal Skull, Area 51 is de[icted as a large warehouse for unusual artefacts, including the Ark of the Covenant and the body of an alien that crash-landed in Roswell. In Independence Day it’s a place where a recovered alien supercraft has been restored abd adapted for use by humans. There’s even been a videogame set entirely within the Area 51, base starring The X-Files actor David Duchovny and goth rocker Marilyn Manson. Even its name is a mystery! Some people believe it’s called Area 51 because that’s the square it corresponds to in a grid of the Nevada desert. Others say the name refers to the number of aliens or spaceships kept there. 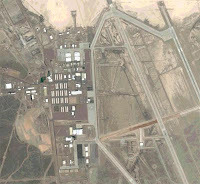 Incidentally, Area 51 has lots of other names, including Dreamland, Paradise Ranch, Home base, Watertown Strip, Groom lake and Homey Airport.